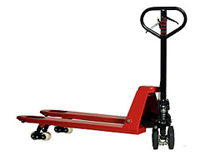 Some of our WARRIOR pallet trucks are available with a brake facility. There are two sorts of brake, “PROGRESSIVE BRAKE” & “DEAD MAN BRAKE”. Both types can be used to slow the trucks down. 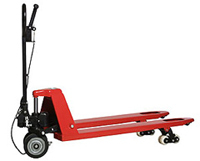 This type of Pallet Truck applies the brake if the operative releases the brake lever or completely releases the pulling handle. It also doubles up as an automatic parking brake! Available as standard, quicklift, reel carrier and low profile options.